The text of Titulus Regius…. This site provides the text of Titulus Regius in full – in understandable English! Worth a look. John Ashdown-Hill’s Eleanor, the Secret Queen was first published in 2009, detailing Lady Eleanor Talbot’s family and early life, the circumstances in which she married Edward IV, her similarities to his mistress Elizabeth Woodville (they were dark haired, older and widows of Lancastrian-inclined men), canon law and how it affected Edward’s relationships and children together with the Clarence attainder, Stillington’s translation to Bath and Wells in 1461, his imprisonment and Titulus Regius 1484. Then it described the attempted cover-up of Titulus Regius (before a copy emerged through Buck), Catesby’s execution, More’s attempt to write another lady into the story, Chapuys’ knowledge of the case and the emergence of remains that may be Lady Eleanor in Norwich, judged by her age, status and the dental evidence. It proved the marriage almost completely to the satisfaction of most open minds. Seven years later, it has been reissued in paperback with even more evidence. We can now know, with confidence, exactly where and when Edward married Lady Eleanor. 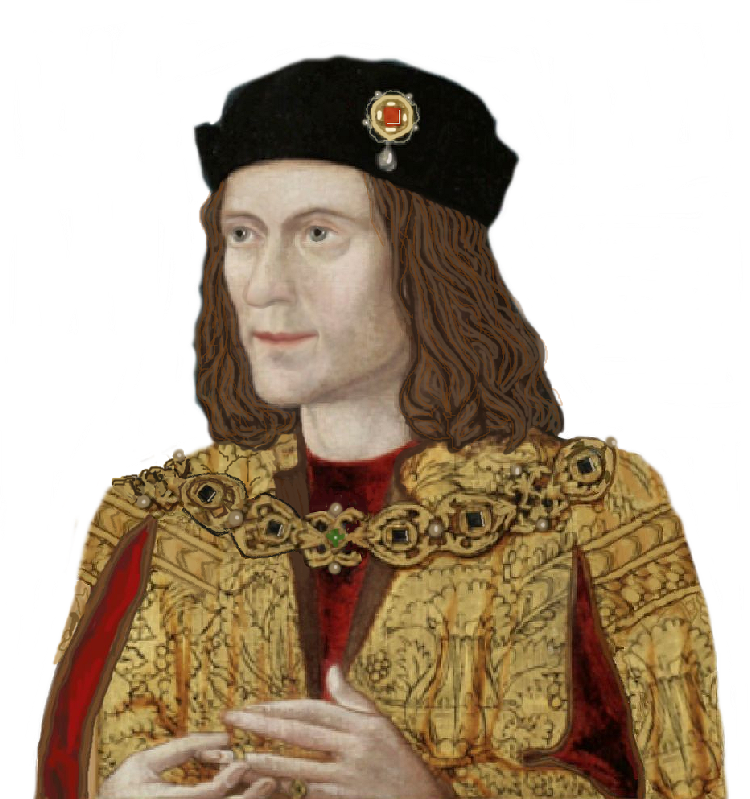 Our attention is additionally drawn to the circumstances of her death and the arrest of two of her sister’s servants a few weeks later, such that there are reports of their executions, whilst the discovery of Richard III’s skeleton leads to further deductions about the dental evidence in Norwich. The case for the 1461 marriage is now proven, even if her corpse cannot yet be conclusively identified. A few months ago I discovered the music of The Legendary Ten Seconds and I’m thrilled that their third and newest album of the Richard III trilogy (the first one being “Loyaulte Me Lie” and the second “Tant Le Desiree”) is also out on CD. The songs are again pithy and meaningful. It also comes with historical and highly interesting narrations between all of the songs and it makes the CD all the more special. The first two songs “Sheriff Hutton” and “Richard Liveth Yet” are dynamic songs with a beautiful swinging rhythm. “Written at Rising” has some cool sound effects and the instrumentation gives it a beautiful medieval feeling with a modern touch. “Gold Angels”, the next song is an interesting story about an old medieval Christmas tradition. “Act III, Scene 4 William Shakespeare” is striking with its beautiful harmonies. “The Year of 3 Kings” and “Hollow Crown” are extraordinary music pieces. They are accompanied by diverse instruments, but the acoustic guitar and a lively flute stand out nicely as does the electronic keyboard. The sound is superb and they just have a great, exciting swing to them. Then there is “Remember my Name”. It is also striking with its beautiful harmonies and lyrics that may touch you deep inside. “Lord Lovell’s Lament” is a slow song that stands out in its tender presentation. “Requiem Mass For Richard” tells the story of his sister Margaret after getting the news of her last brother’s death. It’s a heartfelt song with some definite rock elements. “Royal Title” is about Sir George Buck finding Titulus Regius and the truth that deserves to be known! Sound effects as well as the sound of a beautiful acoustic guitar accompany the “haunting” song called “Ambion Hill”. The last song of the CD is called “How Do You Rebury A King” and it is a catchy rendition of the events of Richard’s re-interment. It rounds out the album quite well and it’s a final song that leaves you wanting more. This album brings together English Folk with a modern flair and some rock elements. Hard to imagine such a combination? Maybe so, but it’s a combination you likely won’t be disappointed in. Ian Churchward and his musicians of the Legendary Ten Seconds have created an astonishing set of thrilling, thoughtful, sometimes soothing and always professional songs that I would not want to miss anymore.